This is part two of a two part series commemorating the 90th Anniversary of Hartzell’s FC-1 aircraft. 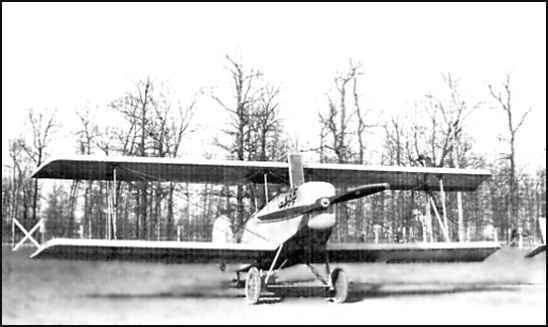 Built to give purpose to Hartzell’s manufacturing staff in the face of dwindling post-war demand for new aircraft parts, the FC-1 was the world’s first aircraft made entirely of plywood. Frederick Charavay designed the plane to showcase the art of aviation science in the face of an industry that was increasingly focused on raw power. Today, we recount the story of Walter E. Lees, the FC-1’s pilot, as the aircraft makes its debut at the first International Air Race event of 1923, held in St. Louis, MO. That the FC-1 made only one stop on the flight to St. Louis is a credit to the veteran ability of its pilot. Walter E. Lees had been captivated by aviation since he first heard of the Wright Bros. historic flight, and had served as an aviation instructor during WWI. Perhaps it was fate that Lees’ first solo flight took place in St. Louis, the very city where he would soon stun the world’s greatest pilots. As he arrived in the The Gateway to The West, however, his mind was not focused on the glamour of the International Air Meet. Why should it be? Even if the other aviators had known his reputation, they would doubtlessly have mocked his aircraft. The FC-1 was a complete unknown, built from a surplus engine and seemingly second-rate materials. Expectations for Lees’ performance, if they existed at all, were exceedingly low. Back in Piqua, the community waited anxiously for news from the Air Meet. Hartzell Propeller, a big employer in the small town, had put a great deal of sweat, hope and preciously rare capital into building the FC-1. The stakes were high. The greatest aircraft manufacturers in the world competed for glory at the International Air Races, and the Hartzell team knew all too well how difficult beating their technology would be. Many of the firms represented were Hartzell’s biggest customers. In just over an hour, it was all over. Lees had won the 150Km race with an average top speed of 89.1MPH. The crowd was stunned by the dark horse contender’s dominant performance. The pilot who trailed the FC-1 at the end of the first lap had to land after his aggressive chase caused him to hit a pylon, and Lees, to his credit, gave all the praise to his engineering team back in Piqua, Ohio. The FC-1 became a major force in aviation throughout 1923 and 1924, followed by a decade of service for the federal government. Hartzell eventually chose to leave the aircraft manufacturing business because the FC-1’s out-performance of important customers was becoming a challenge for the propeller business. Frederick Charavay stayed on at Hartzell to design the FC-2, the first plane to incorporate the revolutionary Y-Wing airfoil, and was influential in the important decision to begin manufacturing industrial air fans (Hartzell Air Movement is still in business in Piqua today). Lees, ever the groundbreaking aviator, would go on to set a non-refueling endurance flight record that stood from 1931 until 1986.